Mysterious World War II secrets. 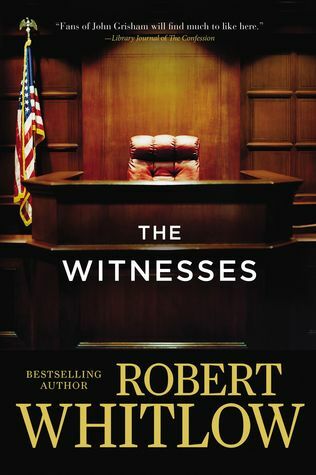 The ability to predict the future in the courtroom. Random people coming into your life for unknown reasons. This book has all the makings of a great read. Unfortunately if fell completely flat for me. I had such a hard time getting into this book and holding my attention to the story. I did not relate to the characters and felt their personalities were a little far-fetched at times. I felt it was impossible for any of the characters to not see their gifts staring them right in the face all the time. The younger characters seemed to be consumed with themselves much more than necessary, and the older ones were just all over the place. Simply put – this was not the book for me. This was a good book with interesting characters and a great plot line. Leta is a desperate woman willing to do whatever it takes to care for her mom. I felt sorry for where she found herself in life, without a college education and struggling to make ends meet just so her mom could have adequate care in an Alzheimer's facility. Leta seems like a smart woman, but let herself get swept into a situation based simply on the dollar signs on her paycheck. As Leta became aware of the reality of her new job and the consequences of the work she was doing, I felt the burden of her heart to do the right thing. She found herself stuck between caring for her mom, following her heart, and doing the thing she knew was right. By following her heart, she found herself and those around her in such a scary situation. I liked Nathan the minute we met him. He was overly generous to Leta on their first encounter, even though it was apparent she was not a part of his world. Through the entire book, we see that he is a down-to-earth man with a desire to always do the right thing for those around him. 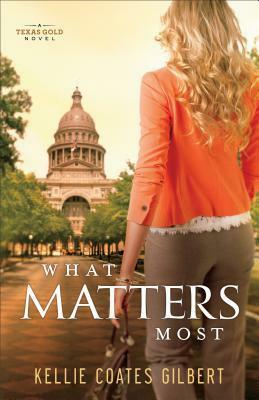 He walks a fine line between pleasing his mom, pleasing the citizens of Texas, and following his heart to the woman he loves. When hard times fall on Leta and Nathan, it is Leta who reminds us always to turn to God and let him handle our situations and those around us. God is always in control, and he always deals with the evils of the world accordingly and in His own time. I thought this was a good read. It is part of a series, but can easily be read as a stand-alone. It is the most important conversation you will ever have with your child, but that does not make it easy. The gospel is simple enough for little ones but has kept theologians debating for years. So when it comes to explaining the Good News to your son or daughter, where do you start? 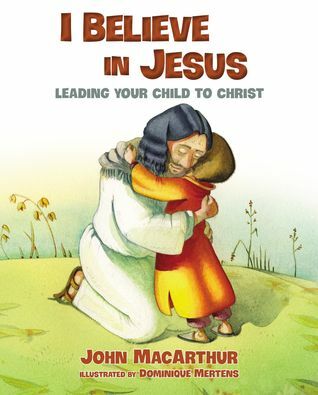 In I Believe in Jesus, John MacArthur walks children through the Gospel of Jesus in a way that is easy to understand, and equips parents, grandparents, teachers, and loved ones to share the familiar story of God's love. By opening the door to conversations that lead to salvation, this picture book has the potential to change lives forever. Making sure my children know and love God is the most important thing I can do as a parent. Giving them the tools they need to read the decision of salvation, and then living in God’s love is a top priority and the one thing I do not want to mess up. I have read this book several times now, and can tell it is going to be an amazing resource for our family. Do I believe this book alone will lead my children to salvation in Christ? No. However, I do believe it is a great way to get that conversation started; to bring them to the questions they need to ask to seek the answers to their salvation. This book walks children through the very nature of sin and its beginning with Eve. It uses that basis to explain God’s desire to forgive us from each of our sins and give us everlasting life with Him. It explains life after our decision of salvation, and our desire to walk with God through our life. I believe this is a wonderful book for our children to read, to read with our children, and then have discussions afterwards. Salvation is a top priority for our children. I believe this book can be a great resource for helping you lead children in that direction. 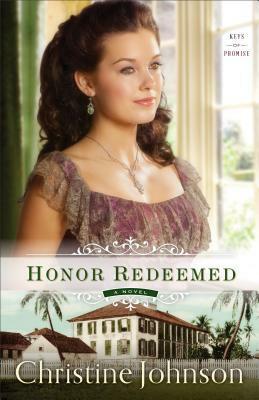 Arriving penniless in the South, Prosperity is dismayed to find David married to someone else. Scrambling to survive and nursing a broken heart, she gains the friendship--and the affection--of a kind doctor. Could he be the answer to her loneliness? Or will her life be upended by circumstance yet again? Prosperity is one of those characters I both loved and hated. I loved her determination to take matters into her own hands and set out to reconnect with David. I loved her persistence to make her own future when things did not go the way she wanted. I even loved the way she was so committed to the things she believed in and willing to fight for those thing she believed were right. But I hated how timid she became when it came to speaking up for her heart. I hated how unwilling she was to listen to the truth, and how easily she seemed to throw away the one thing that was most important to her. Every time I thought this story was wrapped up and the characters’ future set, something else would happy to completely tilt everything off course. So many unexpected events made this a very enjoyable read which held my attention until the last page. Although this is part of a series, it is easily read as a stand-alone book. One of my biggest fears in life is messing us this girl-mom thing. I understand the importance of forming an open and honest relationship with my daughter and being her mother first, but I also want her to know she can be my friend when she grows up. This book is amazing! Each devotion-type section in this book serves as a conversation starter between moms and daughters. Topics include everything from friends to fashion, feelings to fears. 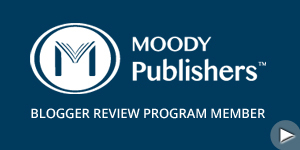 There is even an appendix to help you have the conversation about abusive relationships. Throughout the conversations, the Bible is brought in as a resource to point out how God teaches us to live our lives. Not just by giving us the scripture, but by making us look up the scriptures in our Bibles and make a point of absorbing God’s word, the format makes us gain a better understanding of how the Bible becomes a resource. I like how each conversation is broken down into weeds, hills, fields, etc. to help younger girls know what to expect with each conversation. Within the conversation, there are also questions for moms and separate questions for daughters to help jump-start some of those difficult topics. My daughter is seven, and I feel this book is appropriate for her age, but would also be appropriate if she was 17. It is that versatile. 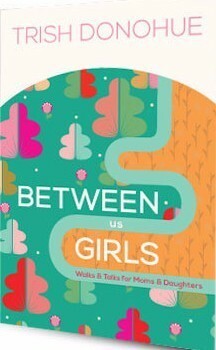 I also think this would be a great resource for a group mom-daughter study. I highly recommend this book for every girl-mom, and may start giving it as gifts. When you are as small as Martin Mouse, every little thing seems like the start of a whole new adventure. However, when things go wrong, and the world gets too big, it is good to know that the Doctor is only a phone call away. The Dr. Hedgehog picture book series is intended to be read aloud to young children. 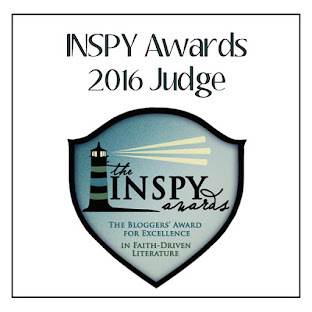 Both the readers and the listeners will enjoy the stories. There are common characters, but each story can be read independently of the others. In most of the stories, Martin Mouse finds himself in awkward situations but Dr. Hedgehog, usually with the help of other animals, is always able to assist. Children will recognize their mothers in Mavis Mouse, who worries about her son and is always greatly relieved when he arrives home safely. Includes: Dr. Hedgehog and the Post Box Rescue, Dr. Hedgehog and the Tree Rescue, Dr. Hedgehog and the River Rescue. This is such a cute series for young children, especially boys. Martin Mouse is a little mouse who seems to find himself in trouble. Despite his mom always warning him of ways to avoid trouble, he still finds it. Luckily he has a community of animals looking out for him, led by Dr. Hedgehog, and they are always there to lend a hand to get little Martin out of trouble. 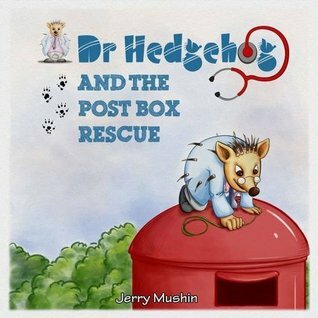 Whether Martin has fallen into a post box, found his stuck in a tree, or landed in an icy river after walking on ice, Dr. Hedgehog always comes along and has a way to get him out of trouble. Henry Horse and Fred Frog are just some of the doctor’s friends who help come to the rescue and make for an entertaining story for little readers. And I just love that Dr. Hedgehog drives a car made from a baked bean can, ha!! In addition to being entertaining, these books also lightly touch on the consequences Martin Mouse encounters when he does not listen to his mother’s warnings. Though intended for little ears, these lessons start at a young age, and this is a great way to help teach them. My son loves these books, and I have enjoyed reading them with him. We also like the large pull-out posters included in each book. It is fun to have some of your favorite book characters hanging on your bedroom wall! Purchase these books on Amazon, or your favorite children’s book retailer. It takes a great book to read the entire thing in one sitting – this is one of this books. Each time I told myself to go to bed, I kept reading. I just had to know what was going to happen next. Nikki and the team are called to action to find Lucy, a young wife gone missing after the mysterious death of her husband and the discovery of two murdered men in her home. 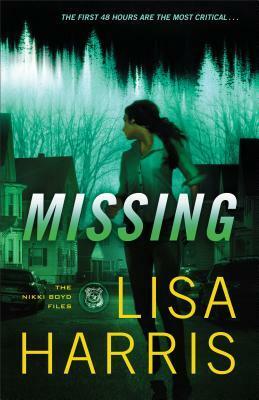 However, the missing person case quickly becomes a tangled web of homicides, pharmaceutical schemes, blackmail, kidnappings, robberies, and (of course), love. With each chapter, the story became more of a maze, and I could not wait to see how Nikki, Jack, and Gwen were going to figure it all out. Throughout the book, we also get a little more insight into the disappearance of Nikki’s sister, Sarah, ten years ago. We learned pieces of this story in the first book, and I hope her case is also solved as this series continues with Nikki investigating it. More details are revealed about the days leading up to Sarah’s disappearance, and the frame of mind Nikki was in before her sister went missing. We get to see Nikki turn to God when she thinks things are impossible. She asks for His strength in finishing the investigation, finding Lucy, and bringing the guilty to justice. We also get to see more of the friendship between Nikki and Tyler. They have such a unique relationship following the death of Tyler’s wife, and Katie’s best friend, and watching their friendship grow is so exciting. Decisions they must make toward the end of this book will change the course of their future together, and it was sweet to see each of them include God in that decision-making process. I loved the first book in this series, and this has topped it! I hope the next book is not far behind because I am on pins and needles to find out how everything is going to come full circle for Nikki in life. Award-winning author of nineteen novels and novellas, Lisa Harris lives with her husband and their three children in Mozambique, Africa, where they work as missionaries.